Just in time for the holidays, retired Green Bay Packer and Super Bowl Champion Donald Driver has written his fourth children's book, "Quickie Stands Up to a Bully." He'll be on hand to autograph it for you at two Goodwill Store & Donation Centers! 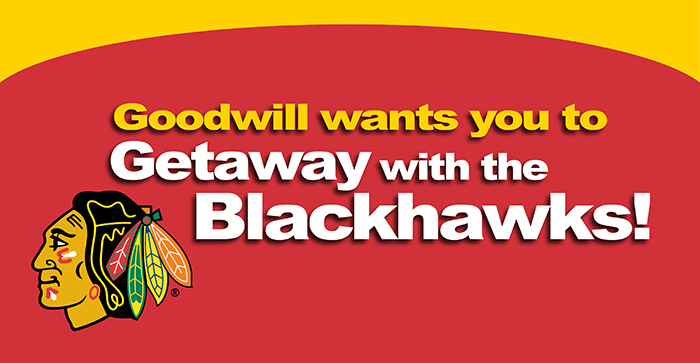 The “Getaway with the Blackhawks” promotion begins December 1st, and each of our Goodwill Store & Donation Centers in Illinois are taking part. available from major retailers! Happy Thanksgiving! Congratulations to the winners of the 2014 DIY Halloween Costume Contest! The Fall Haul Donation Challenge is Going on Now in Wisconsin! Donate to Goodwill to win a free live performance by Rixton at your school! The Illinois Fall Haul Donation Challenge is Going on Now! Goodwill and WISN Channel 12 have teamed up to find the craziest holiday sweater in southeastern Wisconsin! Simply head to Goodwill to purchase your sweater and then grab your glue gun, bangles and beads and take your sweater from basic to bedazzled. We're clearing house! 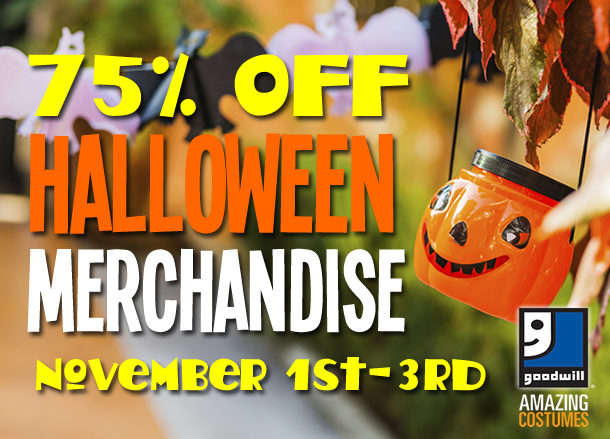 Stock up on Halloween costumes and decor for 2015 ... hurry in and receive 75% off ALL Halloween merchandise between November 1st - 3rd!